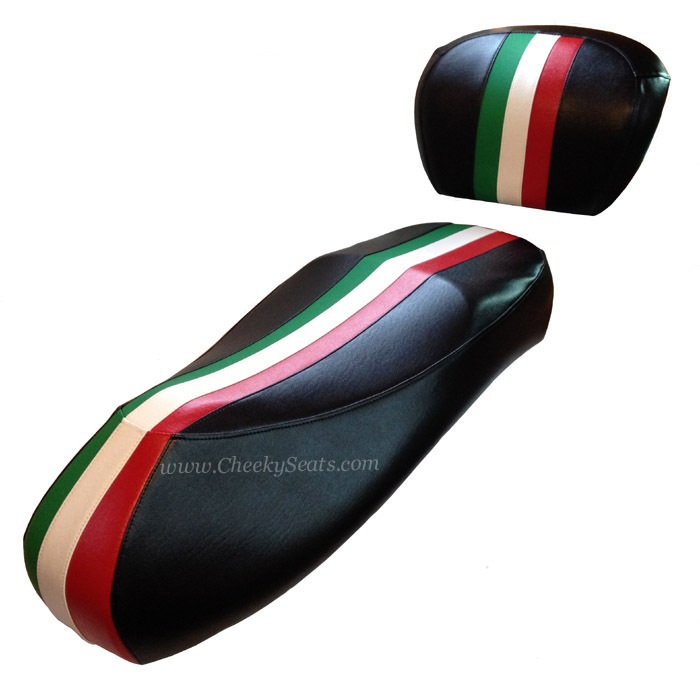 Sporty and sophisticated, our Italian Racing Stripe seat cover for the Vespa GTS is a really cool way to personalize your scooter. 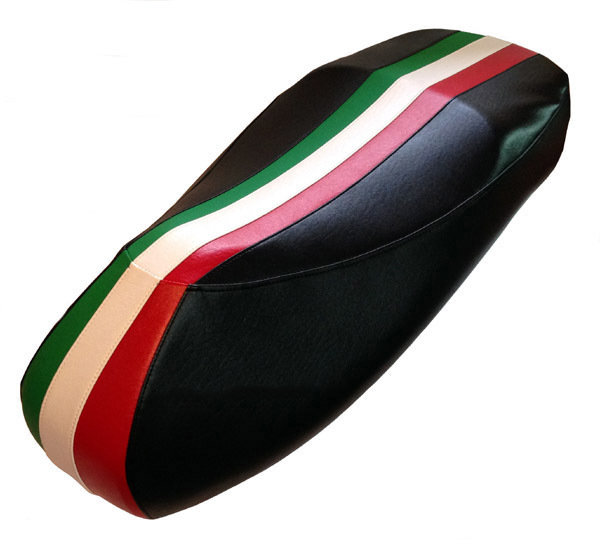 If you like the Italian flag cover but want something a little more understated, this is a perfect solution to showcase your stylistic confidence. 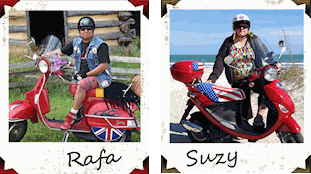 Get your swagger on. This is not a printed fabric, the entire seat cover is hand tailored. 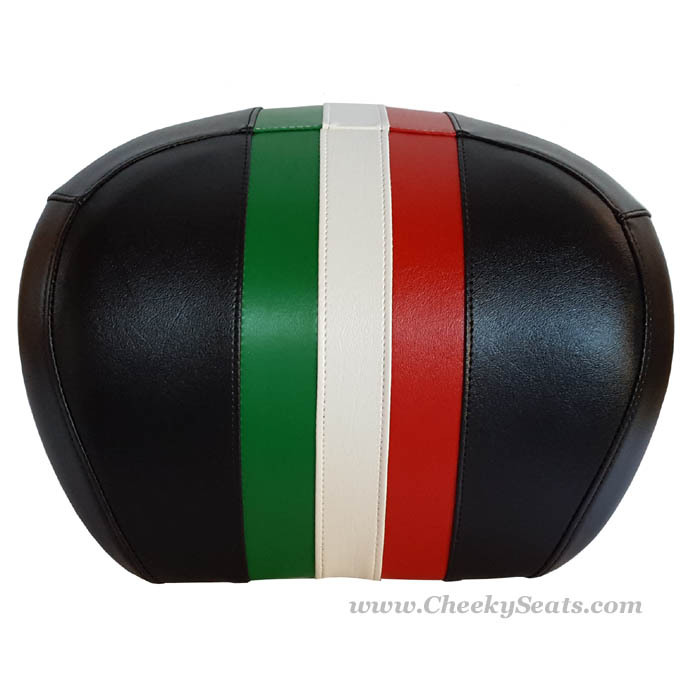 We start by cutting and sewing together the stripes, which measure 4.5 inches wide when finished, and on the front 'nub' of the seat, we flare the stripe to accentuate the form of the saddle. 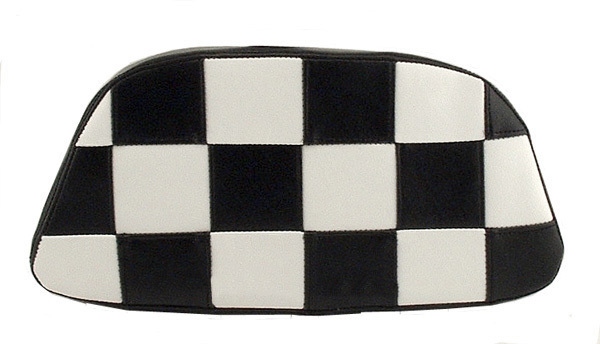 The rest of the seat cover is finished in classic black. Crafted in premium marine grade vinyls, the Italian stripe cover is waterproof and UV stabilized (will not fade.) This seat cover is made to withstand any kind of weather conditions, and to provide you with years of rugged, lasting beauty.